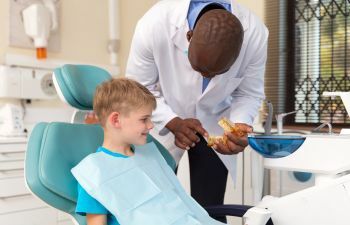 Here at Dentists on the Square, we are a multi-specialty practice that goes to great lengths to ensure that every patient has access to outstanding oral healthcare. Our team understands that everyone faces unique challenges in life. That is why we are committed to tailoring our treatments to each individual patient in the most efficient manner possible. An open and honest discussion is an important part of a successful relationship between patient and dentist which is why you will always find a responsive team in us. When you become a patient of Dentists on the Square, you are becoming part of the family. All your dental treatments are part of a broader conversation, ensuring that we always deliver the results that are most aligned with your specific needs. We offer a range of dentistry options including cosmetic, restoration and emergency treatments. Do you want to become part of the Dentists on the Square family? Contact us today to arrange a first visit to our Philadelphia office! We are a fully comprehensive dental practice, serving families in Philadelphia. Dentists on the Square provide a wide range of treatments, catering to people from every walk of life. If you or a loved one suffers from a disability or have special needs, our dentistry team is equipped to ensure that you receive regular oral healthcare in a calm and accommodating environment. The approach that we take is based on a combination of proven traditional procedures and modern innovations. Just one of the state of the art technologies we employ in practice is 3D-Cone Beam Imaging. This enable us to see a three dimensional image of your entire jaw outside of just your teeth. We also are fortunate enough to offer patients CEREC Same-day crowns. What is normally a three week process, with the potential for multiple fittings, is now cut down to mere hours. Your first line of defense at Dentists on the Square is general dentistry. Your regular checkups and treatment plan are designed to maintain long term oral healthcare, keeping your teeth and gums strong. Our approach to scheduling involves tailoring your experience to the unique challenges that you are facing. Convenience is another aspect of facilitating care for our patients. Ensuring that you can make your appointments is essential in achieving successful results. 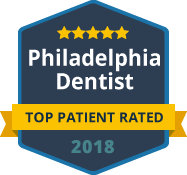 For cosmetic improvements to your teeth and smile, Dentists on the Square is your number one choice in Philadelphia. Composite fillings, dental bridges and dental implants are just some of the treatments we can offer you. We welcome patients of all ages who have experienced oral health problems to visit our practice for a comprehensive exam so that we can provide a fully tailored treatment plan. Orthodontic treatments are important in ensuring you maintain great oral health in the future. Crooked, misshapen, or drifting teeth have the potential to cause serious dental issues. You may not think that your child’s slightly out of shape teeth will have a significant impact. 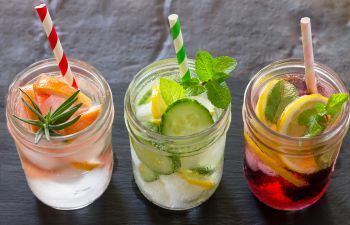 However, as they continue to grow a child’s teeth will move in the mouth and may cause discomfort, pain and embarrassment. Are your teeth in need of serious repair? Dentists on the Square provides excellence in restorative dentistry to all our patients. 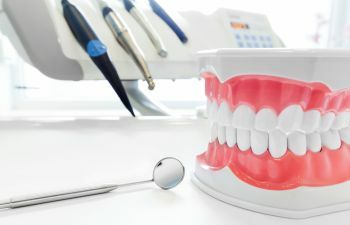 We carry out a comprehensive exam to both assess the level of damage and determine which treatment options are best for you, depending on the strength of remaining tooth and supporting bone structures. All too often we deal with patients who have received restorative dentistry treatments that are not suitable or likely to provide long lasting solutions.